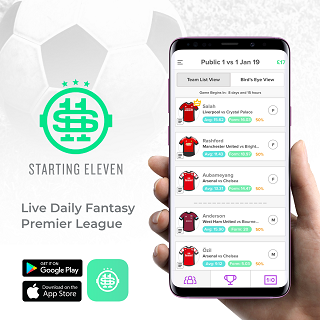 There are 7 matches taking place in this Saturday’s daily fantasy contest on Starting 11, with Liverpool welcoming Bournemouth to Anfield, as they look to bounce back from recent draws with West Ham and Leicester. 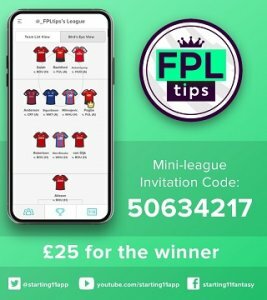 Before creating your daily fantasy lineups and entering FPLTips’ £25.00 1st place prize Mini League, with free entry, let’s take a look at some players to consider for this Saturday’s Gameweek 26 contest. Brighton kept their 4th home clean sheet of the season in a goalless draw with Watford last weekend; only Crystal Palace, Bournemouth (each 5), Chelsea (6) and Liverpool (7) have kept more. Gameweek 26 will see Mat Ryan face a Burnley side that have scored 11 goals away from home this season, with only Newcastle (9), Huddersfield, Fulham (each 8) and Cardiff (7) scoring fewer. Arsenal travel to Huddersfield on Saturday, with Sead Kolasinac having notched 5 assists in 8 league matches against teams outside of the ‘top six’ this season. Since Gameweek 11, no defender has provided more assists than the Bosnian (5), while only Digne has created more chances (28 to 22). Bournemouth have only scored once in their last 4 away trips, ahead of their visit to Anfield this weekend, making Andrew Robertson and Virgil van Dijk strong prospects in defence. The Reds have kept clean sheets in 7 of their 12 home games this season, while conceding fewer shots inside the box (52) and on target (25) than any other team. Only Huddersfield (9) have conceded more goals than Fulham (8) in the last 4 Gameweeks and the Cottagers host Man Utd in Gameweek 26. No player has taken more shots on target than Paul Pogba (9) during the same period, while only Llorente (15) has taken more than his 13 shots inside the box. Nathan Redmond scored Southampton’s only goal during the draw with Burnley last weekend and the 24-year-old has significantly improved since Ralph Hasenhüttl took charge. He’s directly contributed to 5 goals in his last 9 games, after failing to register a single goal or assist in the first 16 Gameweeks. Gylfi Sigurdsson was given a rest for Everton’s midweek defeat to Man City but should come back into the XI for the trip to Watford on Saturday. The Iceland international has created 49 chances in the Premier League this season, level with Salah and Sterling; only 5 players have produced more. Felipe Anderson impressed in West Ham’s draw with Liverpool, providing an assist and creating a total of 4 chances during the game. Gameweek 26 sees the Hammers travel to Crystal Palace, a side that have conceded 7 goals in the last 4 Gameweeks; only Leicester, Fulham (each 8) and Huddersfield (9) have shipped more. Marcus Rashford’s scintillating form under Solksjaer continued last Sunday, where he scored the match-winning goal against Leicester and fired a total of 5 goal attempts, with 3 on target. Since the change in management, the forward has bagged 6 goals and 2 assists in 8 Gameweeks and no player has taken more than his 25 shots inside the box or his 19 efforts on target during that period. Pierre-Emerick Aubameyang boasts an impressive record against teams outside of the ‘top six’ this season, producing 13 goals and 5 assists from 17 matches. The 29-year-old has directly contributed to 7 goals (5 goals, 2 assists) in the last 8 Gameweeks and only 4 players have taken more than his 19 shots inside the box, during that time. The last 2 Gameweeks have seen Liverpool drop points to West Ham and Leicester, with Mohamed Salah unable to find a goal despite a total of 6 attempts, with 3 on target. But the Egypt international has been directly involved in 6 goals (4 goals, 2 assists) across the last 4 home matches, finding the target with 5 of his 8 shots. 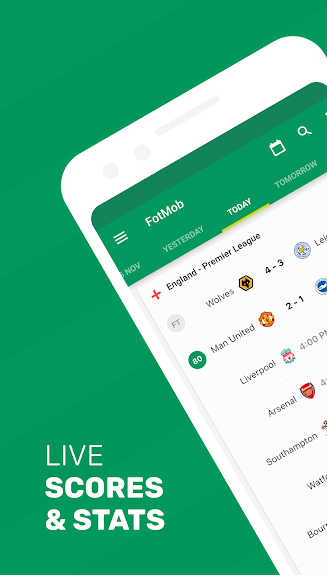 Bournemouth have conceded 18 goals in their last 6 away matches, 3 more than any other side, while Liverpool have scored a league-high total of 14 goals in their last 4 home matches. For that reason, Mohamed Salah looks a safe bet for returns as captain. 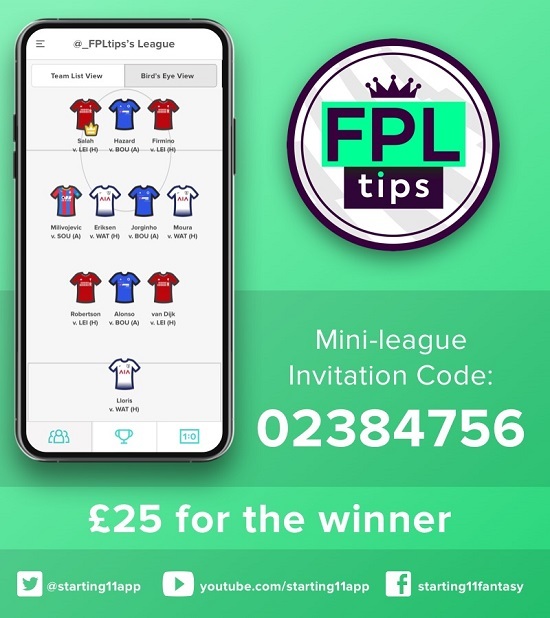 Simply download the free app below and create your best 11-man team for SATURDAY’S 4 Premier League games – oh, and you’ll need to pick a captain.